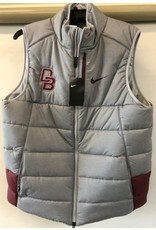 This Nike Men's Winter Vest features a sleeveless profile for mobility and easy layering. Our interlocking DB is embroidered in maroon on the right chest. 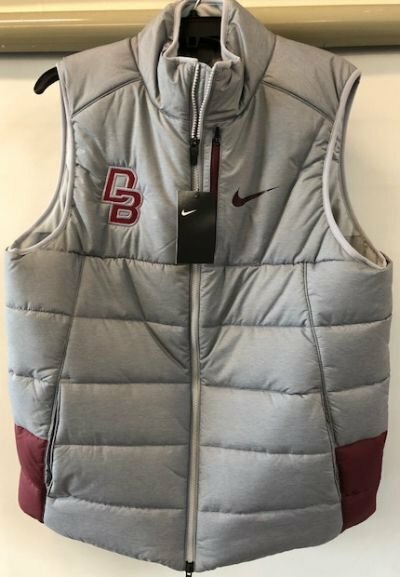 Vest comes in grey only. One zippered pocket is located on the left chest and two zippered pockets are located on the bottom of the vest.